Lixin (Nathan) Li is a senior security research lead at the Cyber Innovation Unit of Battelle. 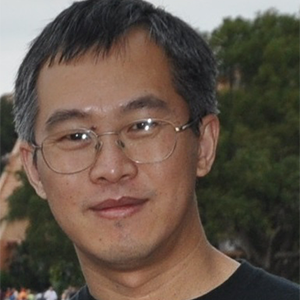 Mr. Li focuses on bridging the gaps from academic research to hacking practice. He leads applied research of cross-platform binary analysis and development of automated security applications including vulnerability analysis, exploit generation automation, and automated reverse engineering environment and malware analysis. His most recent work includes research and developing a Cross-platform Binary Automated Symbolic-execution System (CBASS) using heavyweight taint analysis and concrete-symbolic execution, an interactive IDA-Pro visualization based Taint-enabled Reverse Engineering Environment (TREE) and COncurrent pRogram Reverse Engineering Cross-platform Toolset (CORRECT). His extensive research and implementation experiences covered software defense, offense and analytics, spanned layers from Web application, OS to micro-processor, and crossed platforms from x86-based desktop and PowerPC/MIPS-based router/switch to ARM-based mobile devices. Mr. Li has 16 years of research and engineering experience across architectures, operating systems, and network layers, with the past 8 years focusing on security research and practical binary hacking and defensive techniques. He researched and implemented an ASLR solution on Windows binary from kernel to provide host protection, years before ASLR found its way into the Windows OS. Mr. Li serves as technical lead in multiple security projects. He is an inventor and principal developer of techniques that resulted in numerous publications.